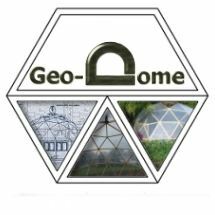 If you’re looking for a simple way to build a geodesic dome frame, using conduit that has the end flattened in a vice is a good starting point. This method may be a bit crude but it’s cheap and easy to implement. Use this technique for building geodesic tent structures, climbing frames and other small homebrew projects. 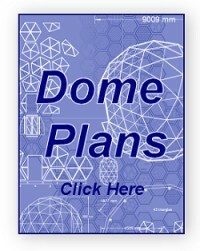 Use the dome calculation tools to find the strut lengths and number of struts to build your dome. Strut length is from hole centres so you need to cut your tube a little longer to allow for this. Once you have your tubing cut to length you will need to flatten the end and put a slight bend in, the angle doesn’t have to be exact because the bolts will pull everything together when you assemble your dome framework. Using a thin wall tube will make flattening the ends easier but don’t go too thin if you’re making a climbing frame. Colour coding the struts will make it easier to assemble, try using different coloured insulation tape. Use wing nuts for quick assembly/disassembly. This type of dome framework is usually covered in canvas or similar material, which can be quite difficult to get tight and crease free over the structure. 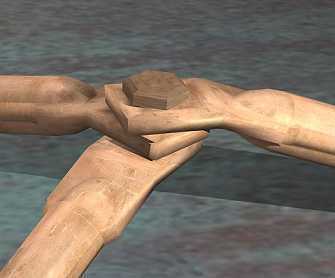 Also of the unevenness of the joints can make it difficult to cover cleanly. This method is a bit rough and ready but it’s cheap and simple to build a dome framework. Covering is quite difficult to get crease free and I wouldn’t recommend trying to cover with a hard covering material. 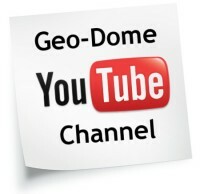 This technique is best suited to building climbing frames and small experimental projects to get the feel for building geodesic structures. Use the Conduit bend angle calculator to find what angle to bend the flattened ends of the conduit. this table works for any frequency, all you need is the dome diameter and strut length. hi anyone! i need to build a 18ft diametre dome-flattend coduit styley out of alluminium with the bottom virtical poles about 1ft longer.i have a design because i was gonna have it made but it just to pricey. what i need to do is find out the lenghts of the struts and the total amout of tubing i need to order.the dome calculater does not seem to be working or i don't know how to work it....AH! Hi ckaicer, The angles range from 10 - 12 degrees for a 3 frequency dome so lets say 11 degrees and 16 - 18 degrees for a 2 frequency dome so 17 degrees should be fine. I have a 3v 3/8 made of metal conduit in my yard, i'd like to convert it into a greenhouse, though it seems my best bet is if i want a year round greenhouse i'd have to make the frame of wood. the dome was gifted to me, so i'm going to try to make it work. any suggestions on the best way to cover it? i have a thick roll of plastic with fibers in it. good and strong. i have made many domes like theese ,but made out of pvc pipe .the ends where heated in boiling water then flatened in a vise, bolted together. this worked great. Hi there.If you bend the flattenned struts after drilling the holes will you have a problem with the holes in both sides of the strut lining up so it proves difficult to get the bolts in? Whats your experience?